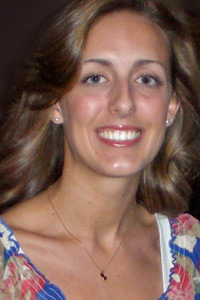 Mandie Middleton, a rising junior history major and museum studies minor from Nokesville, Va., has been named to the 2011 Gilder Lehrman History Scholars Program. One of only thirty students in the nation selected for this honor, Mandie will participate in a one-week intensive history program in New York City June 18-25. Mandie is the fourth University of Lynchburg student to be accepted to a Gilder Lehrman program in the last several years. The program identifies and supports the top undergraduate majors in American history across the country. One-Week Scholars visit museums and historical sites in New York City and meet with distinguished historians, writers, editors, museum curators, and other professionals to participate in discussions about major issues in American history and careers in the field. This year’s one-week program will focus on “The Outbreak of the Civil War” with lectures by eminent historians of the Nineteenth Century United States such as Eric Foner, Stephanie McCurry, and Steven Hahn, among others. Mandie’s week in New York will also involve visiting several archives as well as various sites around New York City, including Five Points (site of violent 1863 draft riots) and Cooper Union (where Lincoln gave an address to a gathering of Republicans on February 27, 1860). Since 2003, more than 400 college sophomores and juniors have been named to the Gilder Lehrman History Scholars Program, and many have gone on to pursue graduate studies at leading institutions including Cambridge, Columbia, Harvard, Oxford, UCLA, the University of Michigan, and Yale.